I love illustration, unfortunately I am not gifted in that area! works of Little Miso - Janice Law. 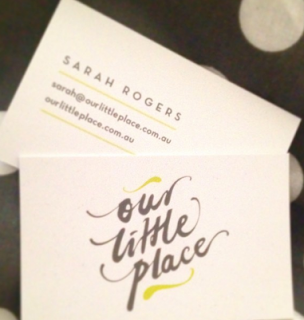 I met Janice whilst living in Perth as a friend recommended her to help with my logo for Our Little Place. Janice created my logo - which I love. you're such a talented lady! That's one talented lady! I love love love the logo! Thanks Meghan, she is and she hit the nail on the head straight away!